Born: 4 December 1876, Stroud, Gloucestershire, England. Died: 27 August 1951, Pretoria, South Africa. Horace A. Wager, botanist, was the son of John W. Wager and his wife Mary. He came to South Africa in 1903 and settled in Pietermaritzburg. By 1909 he taught botany and zoology at Pietermaritzburg College (a high school). The next year he was appointed lecturer in botany and zoology at the Transvaal University College in Pretoria (later the University of Pretoria). When the two departments were split in 1917 he became the college's first professor of botany, a post he held until his resignation in 1925. Wager's main interest was in mosses and his publications on this group included the following: "A new method of asexual reproduction in mosses" (Annals of the Transvaal Museum, 1911); "Some new South African mosses" (Transactions of the Royal Society of South Africa, 1914), "Protonemal developments of mosses. (Nanobryum dummeri Dixon, etc)" (South African Journal of Science, 1921); an introductory note to "New and noteworthy mosses from South Africa" by H.N. Dixon (Transactions of the Royal Society of South Africa, 1930); and A check list of the mosses of South Africa... (Pretoria, 1917, 20p). The latter publication contained a list of 160 genera and 846 species. Other papers by him included "Respiration and cell energy" (Transactions of the Royal Society of South Africa, 1912), "Stomata and drought resistance in mealies" (Report of the South African Association for the Advancement of Science, 1912), "A nematode worm in the tomato" (Ibid, 1913), and "The leaves of Hakea pectinata and H. suaviolens (South African Journal of Science, 1920). 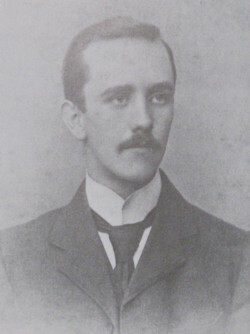 During 1910-1913 he delivered seven papers before the Transvaal Biological Society, most of them on the topics of his publications around that time. Wager was an associate of the Royal College of Science (ARCS) and a member of the Royal Society of South Africa. He joined the South African Association for the Advancement of Science in 1912 and in 1920 and 1922 served as secretary for Section C (which included botany). As a member of the Transvaal Biological Society he served as honorary secretary for 1912. His extensive collection of mosses and ferns was presented to what is now the National Herbarium, Pretoria. The flowering plants he collected (from 1917) for Professor C.E. Moss of the South African School of Mines and Technology, Johannesburg, went to the Moss Herbarium, University of the Witwatersrand. Other flowering plants collected by him were presented to the Transvaal Museum and are now also in the National Herbarium, Pretoria. Wager was survived by his wife Helena, a son and a daughter. His son, Vincent A. Wager, became a well-known plant pathologist and conservationist. Annals of the Transvaal Museum, 1911, Vol. 3(1), paper by Wager. National Archives Repository (TAB), Source MHG, Vol. 0, Ref. 5334/51: death notice, Horace Athelston Wager. Obituary: Vincent A. Wager (1904-1989). Phytophylactica, 1991, Vol. 23(1), pp. 91-92. Report of the South African Association for the Advancement of Science, 1912 and 1913, papers by Wager; 1918, list of members. South African Journal of Science, 1920, Vol. 17, paper by Wager; 1937, Vol. 34, pp. xiii-xix, Presidents and secretaries of the sections. Transactions of the Royal Society of South Africa, 1910-1912, Vol. 2; 1914-1915, Vol. 4; and 1930, Vol. 18, papers by Wager; 1917, Vol. 6, lists of Fellows and members. University of the Cape of Good Hope. Calendar, 1909/10, Colleges (Pietermaritzburg College).